Save $30 by purchasing a Season’s Subscription to the entire 2018-2019. You’ll get preferred seating at all of the Buffalo Master Chorale and Buffalo Niagara Youth Chorus concert programs. Your season subscription tickets will be mailed to you at the address you provide. You will receive one ticket for the repeated concert programs; i.e., November’s “Songs of Faith” — which is good for attendance at either of the two concert dates. 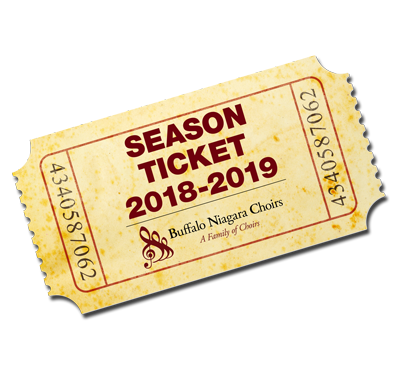 A subscription to the Buffalo Niagara Choirs 2018-19 Seventh Anniversary season is available for the low price of $80.00 a person, or $150 per couple. 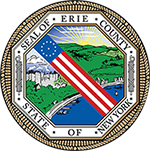 This entitles you to one “Preferred Seating” admission to each of the Buffalo Master Chorale and Buffalo Niagara Youth Chorus concert programs. This represents a savings of $30 for a single seat or $70 for two seats over the cost of individually purchasing “Preferred Seating” tickets to all the concerts. Please also consider purchasing additional Season Subscriptions to give away as gifts. It’s a value that can’t be beat! We are grateful for your investment in the Buffalo Niagara Choirs’ Seventh Anniversary Season! We look forward to seeing you at all of our concerts.